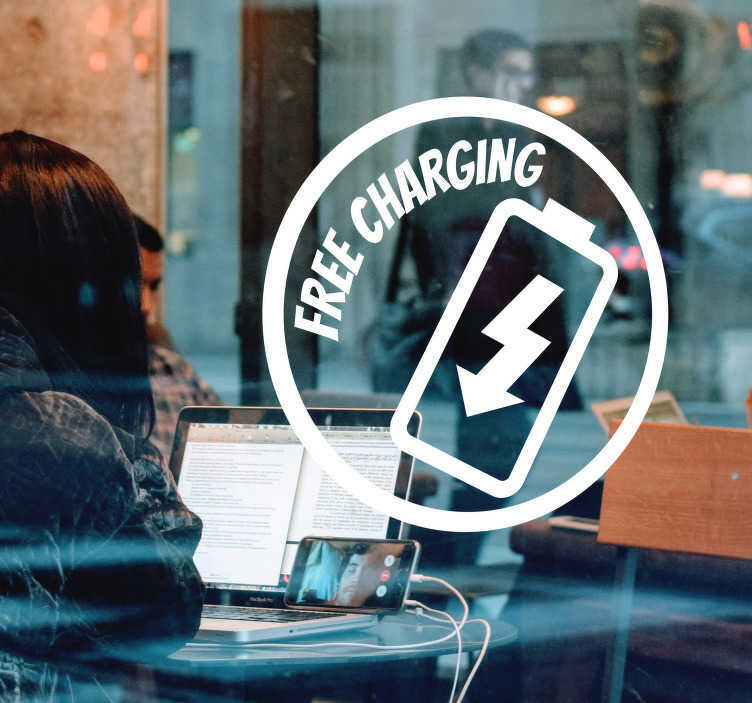 Do you have free charging available in your shop or cafe? Do you wish to let everyone know? If the answer to both of those questions is yes, then why not take a look at this fantastically useful shop window sticker, advertising the free charging in the window to all passers by - Something which might entice in many customers looking for some charging! Choose your colour and your size, and decide whether or not you would like to stick this vinyl window sticker on the inside of the glass.